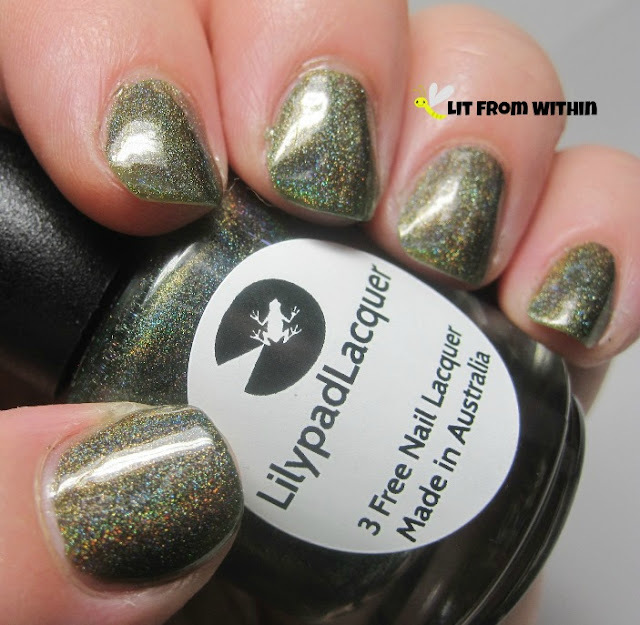 One of my fave holo colors is green. 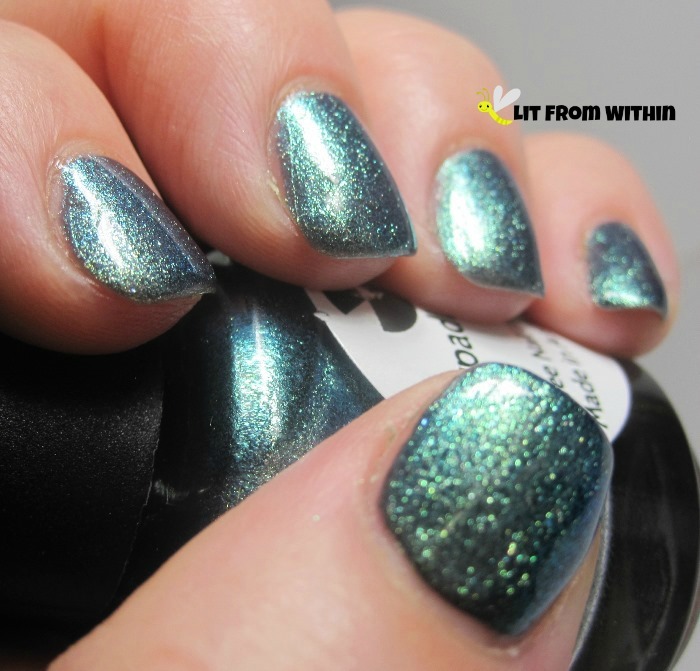 I've shown you minty ones earlier in the week, and today I want to go darker. This.Is.Gorgeous. 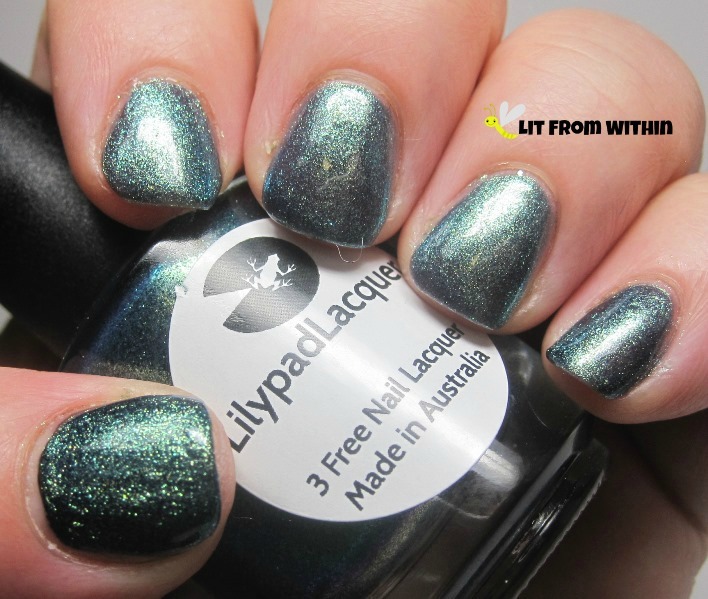 It might as well be called that, but it's actually Lilypad Lacquer Emerald City. I love how it is just a *touch* blue. 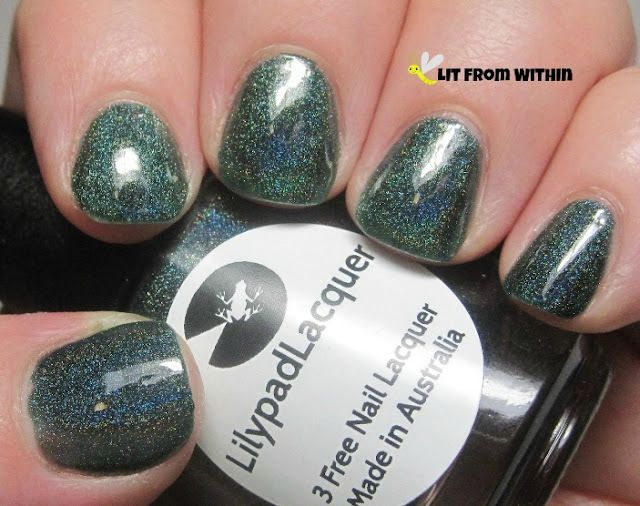 Moving from green with a bit of blue to green with a bit of olive and brown, this is Lilypad Lacquer Wild at Heart. 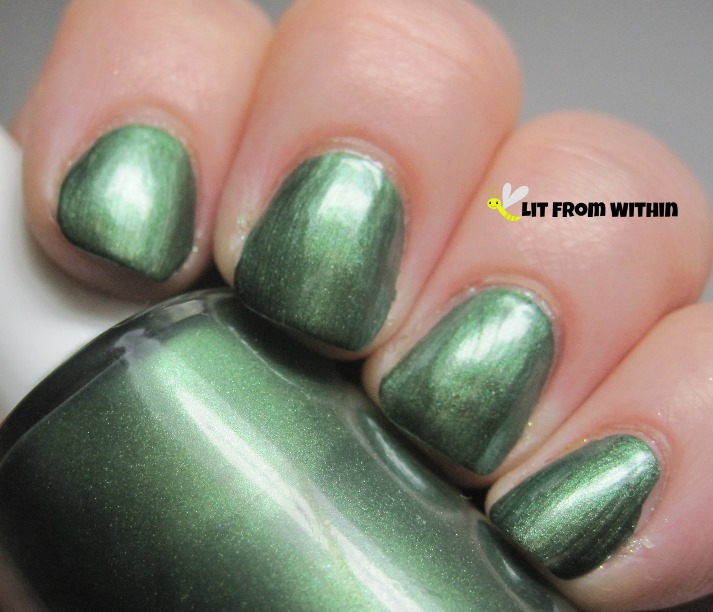 It is a pretty cool jungle green! This one isn't a holo, and it's way more blue than green, but the base colors look so similar in the bottle. 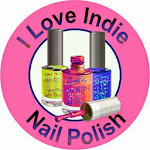 I had no idea it would be this blue on the nail! This is Lilypad Lacquer Great Galaxy. 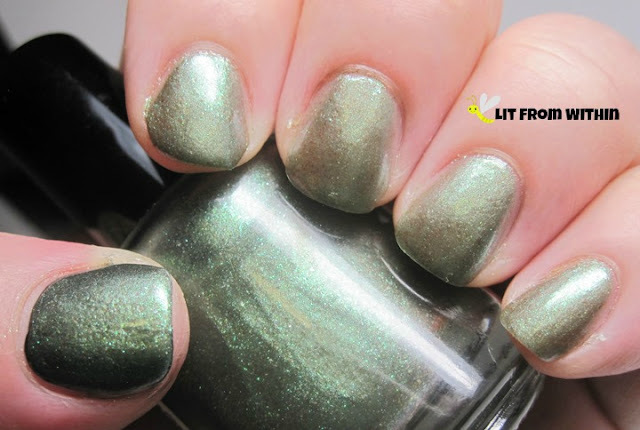 This has so much shimmer! I've layered it over black on my thumb, which really makes the glitter pop. It looks great on its own, too. 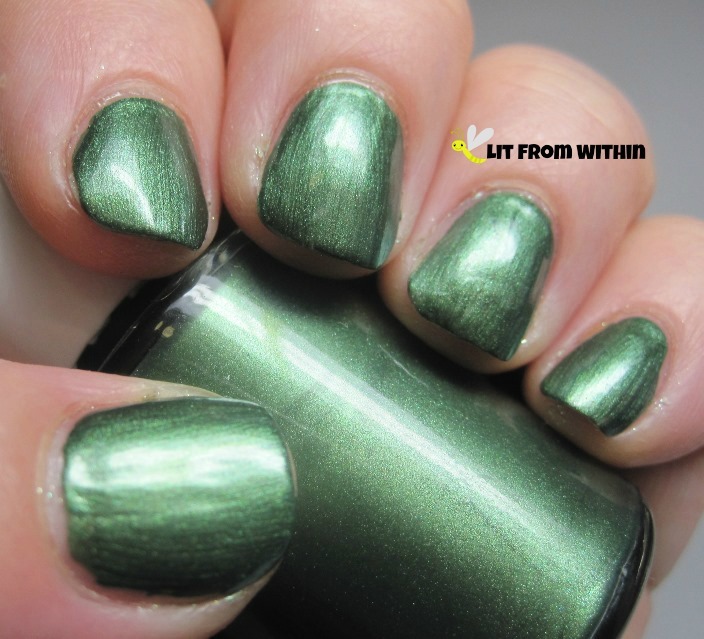 This polish *looks* like it's layered over black, but it's not. It's not layered at all, and it's only ONE COAT. 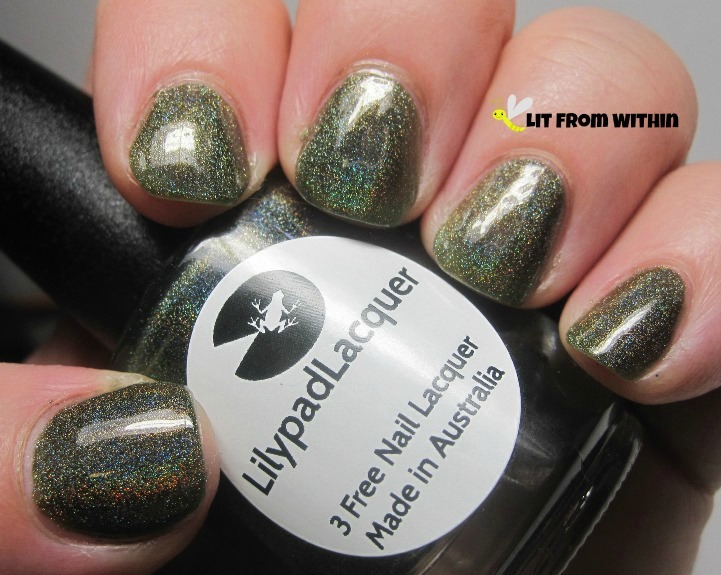 This is Carpe Noctem Woodland Camo. 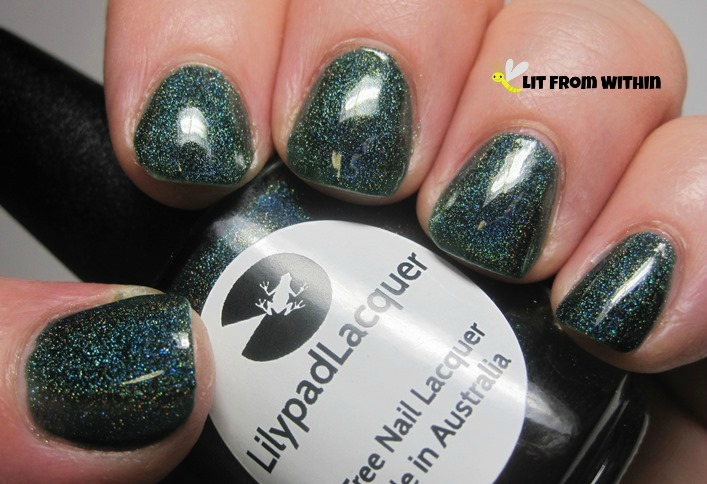 I love when a polish gets those blackened edges and really shines in the center, like it glows. The formula was perfection. 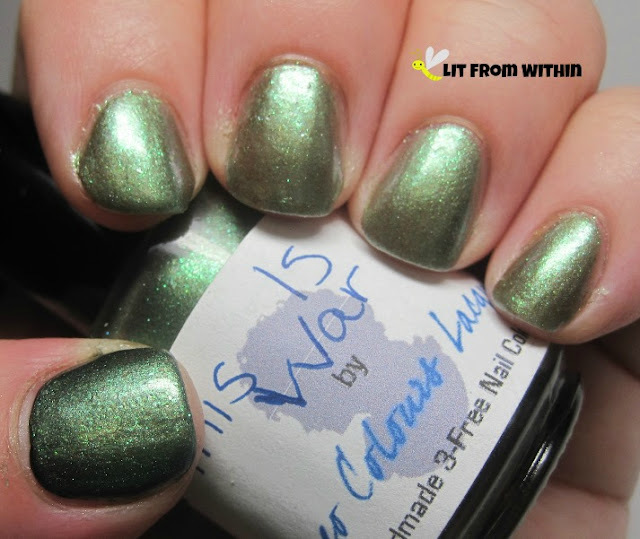 Leaning a little more olive again, is Cameo Colors Lacquer This Is War. This one I layered over black on my thumb. By itself, it takes 3 or so coats to get opaque, and it's still a little watery-looking, but it has great shimmer. 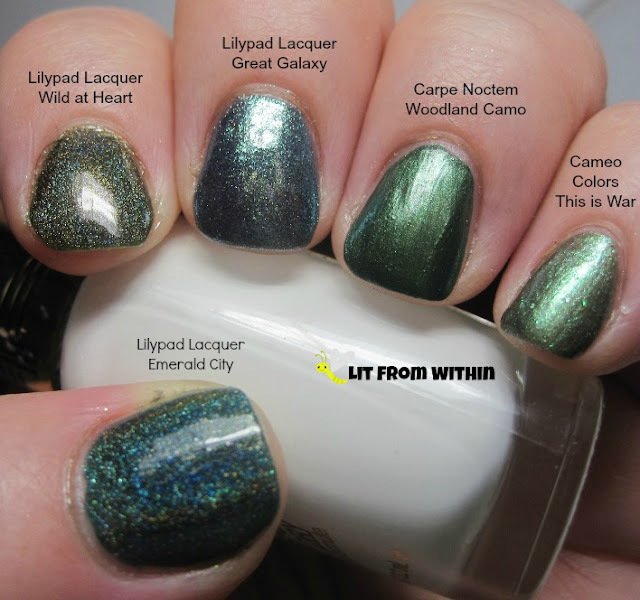 Here's the bottle shot: Lilypad Lacquer in Emerald City, Wild at Heart, and Great Galaxy, followed by Carpe Noctem Woodland Camo and Cameo Colors Lacquer This Is War. 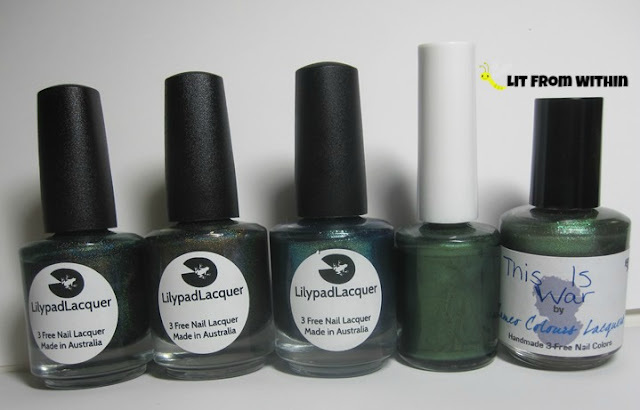 Side-by-side comparison - no dupes here, not even close. They are all so gorgeous, it's hard to pick a fave. I was really surprised how blue some of them are! What's your favorite? Yeah, Emerald City is hard to beat! I can't believe how different they all look!